‘Ship Of Fools’ is out now. You can get your copy HERE. 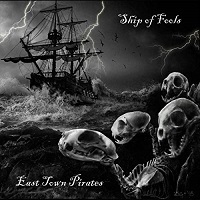 East Town Pirates play The Mulberry in Sheffield on Friday 8 February and The Black Bull in Gateshead on Saturday 9 February. They then play the ‘Rock n Roll Rampage’ at the Steamboat Tavern in Ipswich on Saturday 30 March.